It might be a fairly quiet period for gaming in this post-Holiday period, but that sometimes allows for titles that would otherwise have to fight through busier periods to simply saunter into the top spot. 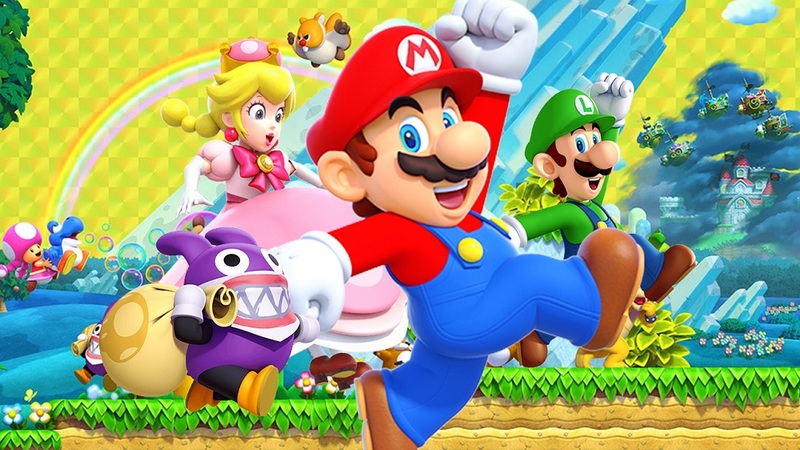 Case in point: New Super Mario Bros. U Deluxe, which has debuted at Number One in this week's UK charts. The Switch re-release of the cutesy Wii U platformer pushed passed bigger titles that have cemented themselves at the top of the charts - such as FIFA 19, Battlefield V and Call of Duty: Black Ops 4 - to bag a week atop the mountain. The Top Ten is looking pretty good for Mario right now, thanks to Super Smash Bros. Ultimate holding on to fifth position and perennial mainstay Mario Kart 8 Deluxe still pulling in the sales. Also of note, after a brief sabbatical, is the inevitable return of Grand Theft Auto V, which re-debuts at number eight, once again proving itself the game that simply refuses to die, even after the release of Rockstar's latest epic, Red Dead Redemption 2.